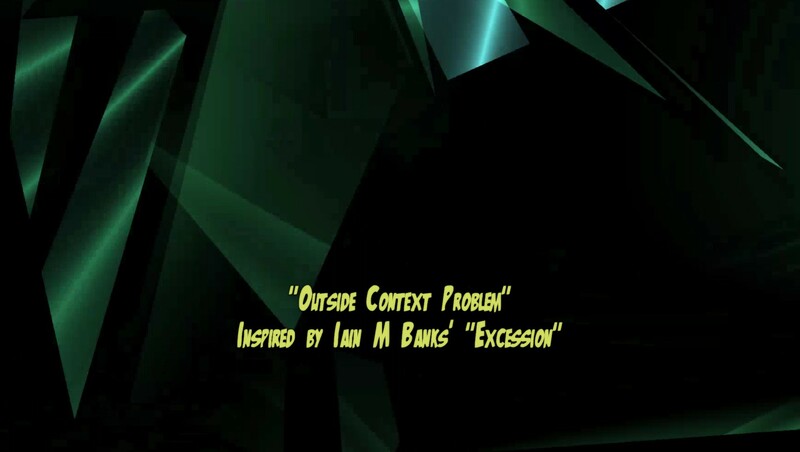 Track four from my album about my bookshelf is called “Outside Context Problem” and is inspired by Iain M Banks’ book “Excession” in which utopic luxury space communism society “the culture” maybe faces their own Outside Context Problem. Great book, here’s I butchered half a page of it. all the kludgy rhymes that don’t really work are mine. that a sentence encounters a full stop.